Find out about bones, breathing, blood, and the brain in this brilliant mini book about how the human body works. 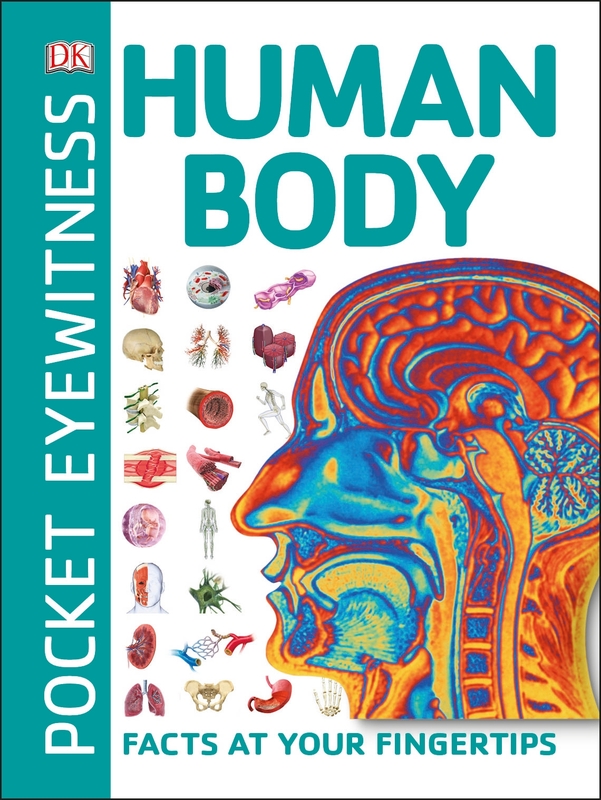 Pocket Eyewitness Human Body is the perfect guide for curious children who want to know everything about the body and its inner-workings. Bite-sized chunks of information, amazing images, and clear, informative diagrams show you what lies underneath your skin, and make learning fun. Did you know that, weight for weight, bone is five times stronger than steel? Or that the fastest nerve signals travel up to 350 km/h (220 mph), and that laughing is good for your health? You didn't? Then you need Pocket Eyewitness Human Body to fill you in on the amazing stats and fun facts about your incredible body.